I was just on the Stenhouse blog and saw your book pop up on the side bar with the newest Stenhouse books. I thought about how exciting that must be for you knowing that it really is happening! Can one of you send me an e-mail so I can ask you a question I have about August. Sharing the feeling of our heart and putting it into words is perhaps the most scary thing of all. My inner child always asks what if they don’t like it? This blog has helped me to become a better writer by making me think. 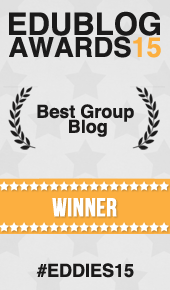 Thank you, if you would stop by my blog I have an award for you.